Souvenir Folder. 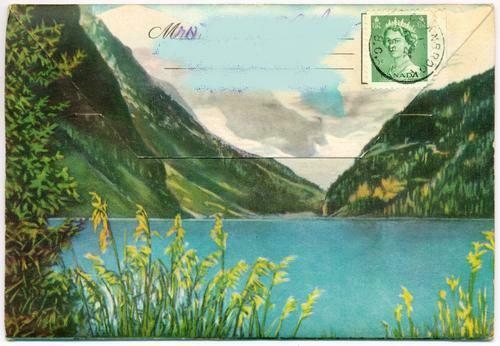 Fan-folded insert with 20 views. 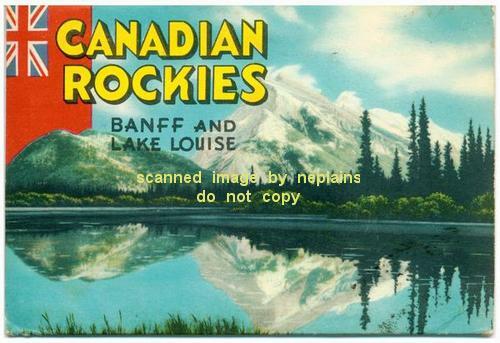 Full-color wrapper shows views of Lake Louise. Wrapper has minor corner and edge wear, with trace foxing at the upper right corner (see image). The fanfolded insert is in excellent condition with no visible wear.